Ueno Park, Shinjuku Gyoen National Park and Asakusa & Sumida Riverside have another post. 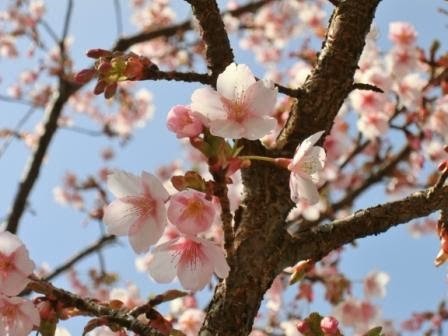 Sakura started to open on 25 Mar! Full-Blooming Photos Updated on 31 Mar!! Please go down to see the latest information. )The season of cherry blossom (sakura in Japanese) is approaching. 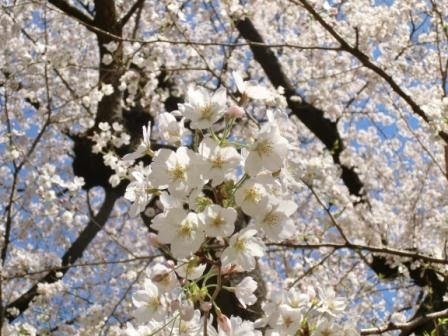 It’s late March to early April.Sakura is the most popular flower in Japan. It is used for school symbols, Japanese uniform, Japanese traditional arts, and so on. When cherry blossoms bloom, it’s very beautiful like pale pink fog. They have good images because they flourish when long cold winter ends. 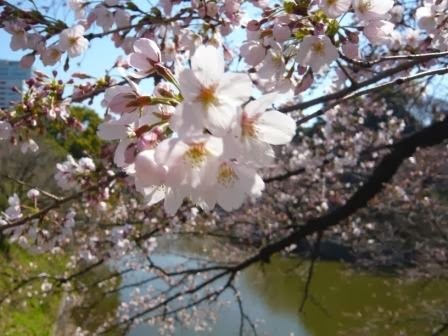 School & office year starts in April in Japan, so sakura is also the symbol of farewell and start.I took this photo in Chidorigafuchi (the district around Imperial Palace) some years ago. Take Tozai Subway Line from Otemachi to Kudanshita (the 2nd station). Go out from Exit 2 led to Budokan and so on. 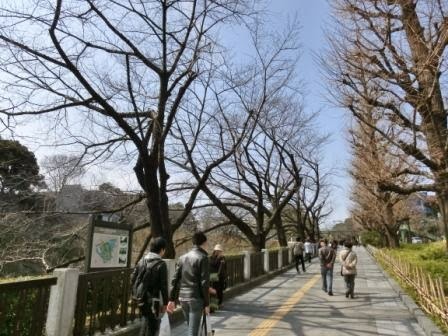 It is not impossible to walk with exploring the breathtaking views of Imperial Palace, but it’ll be kind of training. Other than Tozai Subway Line, Hanzomon Subway Line is fine. Get off at Hanzomon Station and go out from Exit 3. I write this post based on the route from Kudanshita and you will go in the reverse way from Hanozomon. It doesn’t mean you start from the “exit”. This route is as good as the opposite. 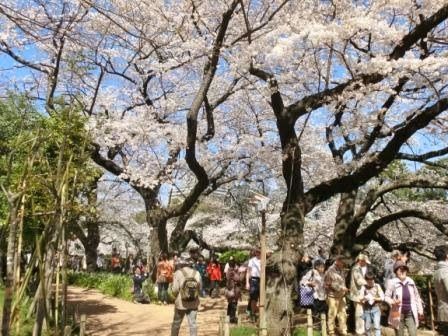 Chidorigafuchi is one of Tokyo’s awesome cherry blossom spots and definitely my recommendation to view cherry blossoms. 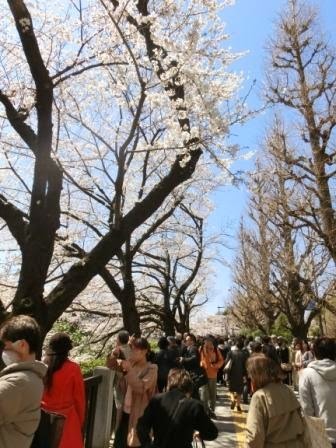 The reason is that Sakura Festival is not crowded, compared with Ueno Park. Moreover, the place itself is beautiful. Neighbouring Kitanomaru Park is outstanding, too! 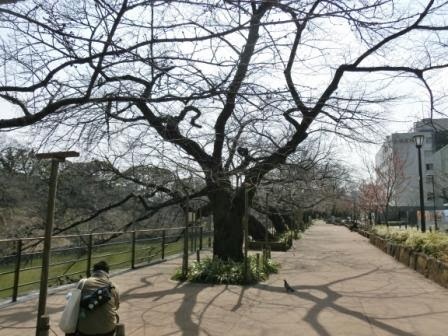 Around 100 cherry trees got damaged by the heavy snow of this February. The government worker responsible for this garden says he will care the trees. I don’t know the damage is serious or not. I hope it’s OK.
I’ll report it when I visit there. Whenever I get some info, I’m going to update all about Chidorigafuchi & Imperial Palace on THIS post. Everyone is waiting for warm spring! 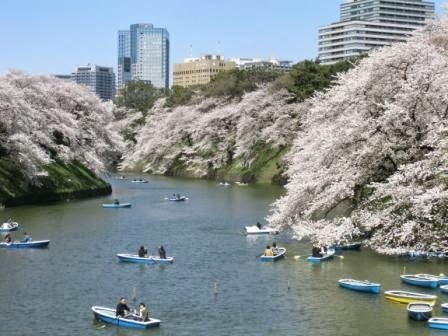 Weathermap, a Japanese private weather forecasting company, announced that cherry blossoms will start opening on 25th 26th March in Tokyo. The best day to view sakura will be 2nd 4th April. 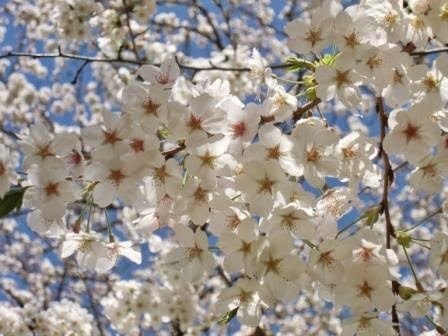 Their definition of “start opening” is, “the first day when 5 or 6 blossoms of the tree of Japan Meteorological Agency’s Standard open”. 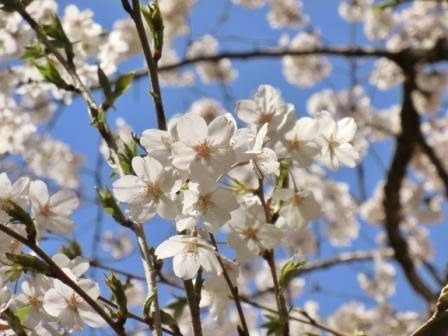 That of “the best day (= full-bloom)” is “the first day when 80 % open in the tree of Japan Meteorological Agency’s standard”. They also update their forecast. 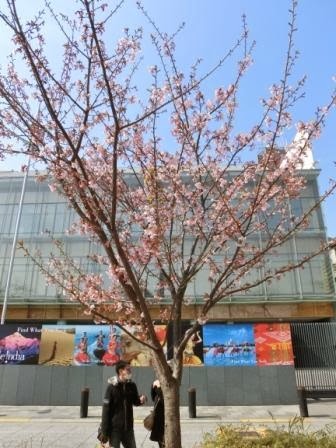 In 2013, they changed their estimate on 15 March, the day before 16 March when cherry blossoms started blooming. Last year was an exception as they say, but it is true that there isn’t any forecast that will never be wrong. 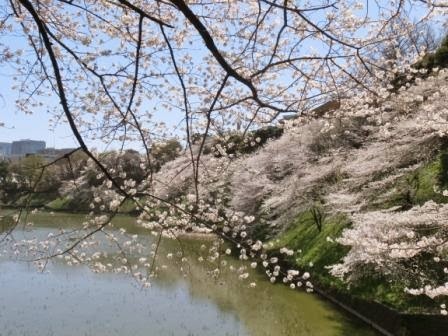 Whichever you have booked a travel to meet sakura or not yet, let’s wait for spring with relaxing like sakura’s color. Weathermap changed their forecast a bit on 6 March. The start-blooming day will be 26 March. The best day will be 4 April 31 March in Tokyo. 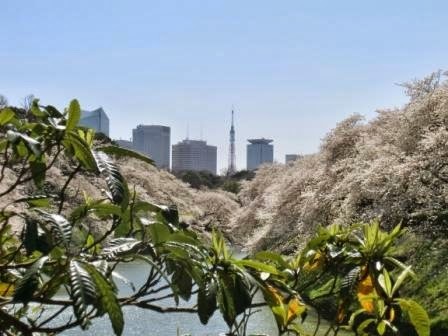 Cherry trees in Chidorigafuchi are safe! I visited there to see whether they got damaged badly or not. Nothing is wrong. They are all safe. The government people’s words were too big, as far as I see it. This is the same place where I took the first photo on this post some years ago. Most trees around the pond are cherry trees. The building behind is Indian Embassy. You see, it is a good district. Sakura has many kinds. This is a kind that blooms early. the avenue is like this. All the trees are cherry trees. Moreover, other flowers flourish on the ground in spring. 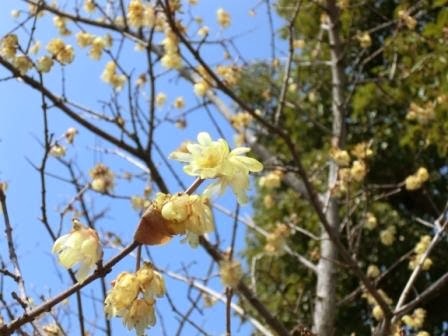 This is Yellow Plum blossoms I took in Kitanomaru Park. You will pass beside Nippon Budokan (an old judo & kendo stadium used for concerts as well. 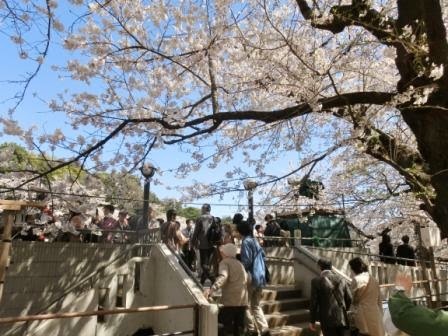 it is rent for entrance ceremonies of universities just when it is sakura’s best days) and Kitanomaru Park to go to Chidorigafushi. The park is so beautiful, but quite large. Its entrance gate is very Japanese and attractive, but it was under renovation today… It might be completed before the best season. You’ll start from here. 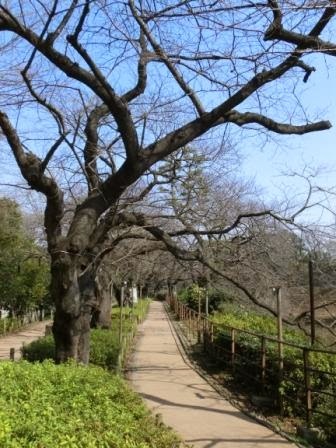 Chidorigafuchi is a beautiful path around the pond of Imperial Palace. 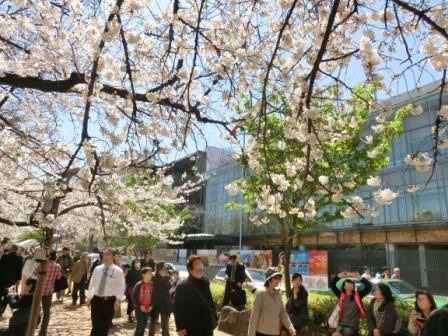 You won’t miss it because Sakura Festival Comitee people are all around here. 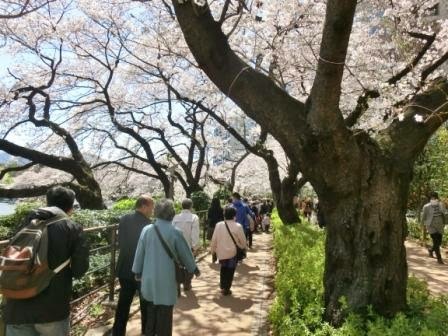 When it is full-bloom, the path is like an arch of pale pink cherry blossoms. There is a deck for viewing, which is DEFINITELY THE BEST SPOT! 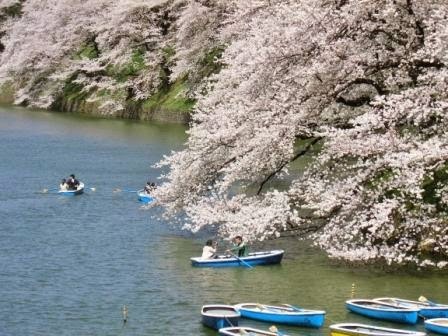 You can rent a rowing boat here to view sakura from the pond. 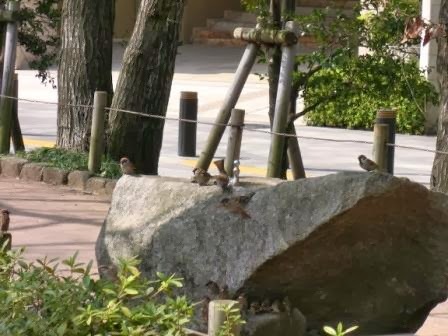 I saw a lot of sparrows today… They are considered to be cute birds traditionally in Japan. I’m happy you are excited to wait for the best day! The forecast changed. The best day will be 2nd April in Tokyo. 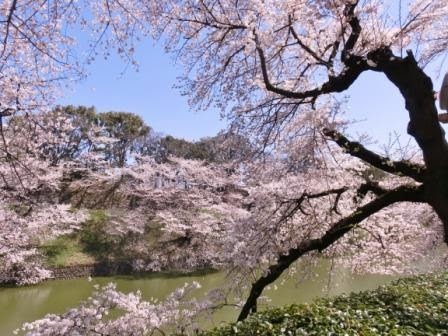 Japan Meteorological Agency announced that sakura started to open on 25 March. The best day will be 31 March. 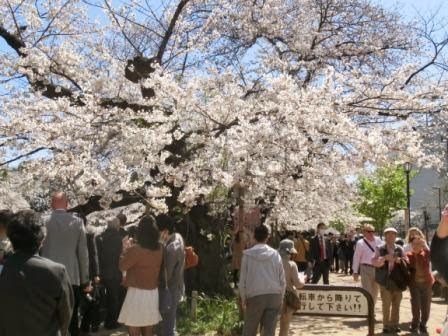 I will visit some sakura spots as soon as possible and upload photos. I’ll update tomorrow, so don’t miss it! It cannot be more beautiful… It’s like a fantasy. I want you enjoy photos rather than writings. Going out from Kudanshita Station, it’s like these. Blooming. Tokyo Tower is seen from the avenue. 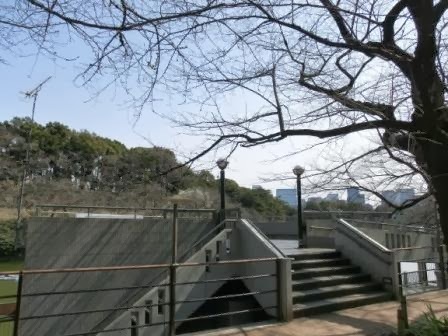 You’ll start strolling Chidorigafuchi from here. Let’s go up this post to compare the same place. It is crowded, but it is just the entrance. When I proceeded, it was not as crowded as this. The building behind is the Indian Embassy in Japan. If you have something to do in the Indian Embassy, it’s so easy to remember the location! The deck is like this when cherry blossoms are full blooming. Tip: The cherry blossom lighting is until 10:00 p.m. This is the Entrance Gate of Kitanomaru Park, the large park around Imperial Palace. 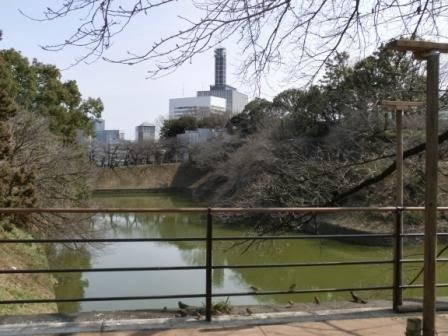 Imperial Palace was once a samurai clan’s castle. When Yedo period, samurais’ era, ended, the royal family moved from Kyoto to the vacated castle in Tokyo. 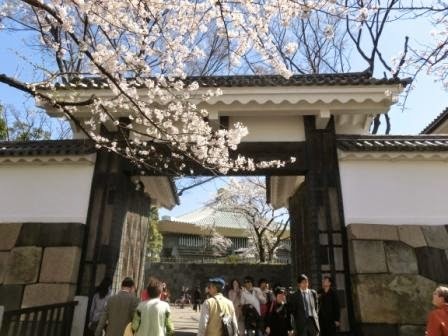 The Gate has finished renovation before cherry blossom season. Good. I’m so happy to share this beautiful day here! 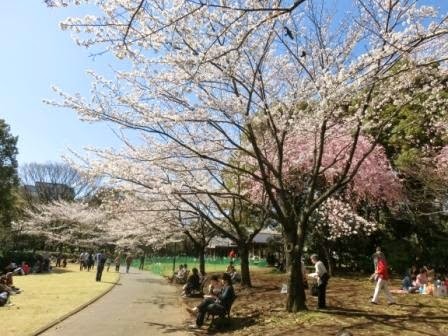 For people whose travel schedules are a bit late, I prepared another post about another aspect of sakura. Don’t be disappointed. Keep checking! AccommodationHotels near Tokyo Station – Imperial Palace is near Tokyo Station. You take Tozai Subway Line or can walk. There are fabulous hotels including Shangri-La Hotel Tokyo, Four Seasons Hotel Tokyo at Marunouchi and retro & modern The Tokyo Station Hotel. Thanks, meet next year again!